One of my hobbies includes backpacking, more specifically I lean towards the lightweight or ‘super’ lightweight side of the spectrum. Basically I complete log distance trails and thru-hikes, whilst carry the least amount of weight in my pack. Throughout my journey, I have made lots of my own gear, primarily due to the high cost of lightweight backpacking area. This is a hobby that can see you drop $400 on a SUL (super ultralight) sleeping bag and the same on a tarp. So in an effort to save money and spend it on preps instead, I frequently get out the sewing machine and mess aroud with some material to see what I can make myself. One of the best things I have made doesn’t require a sewing machine at all however, just a tin can and a hold punch. This is a project I have done many times, it’s so simple and cheap (<$0.50) to replace should it bend or break that it’s a no brainer. This also makes it perfect for prepping and a survival kit, due to its lightweight and ability to cook food and boil water effectively. Check out the video below on how to make it. 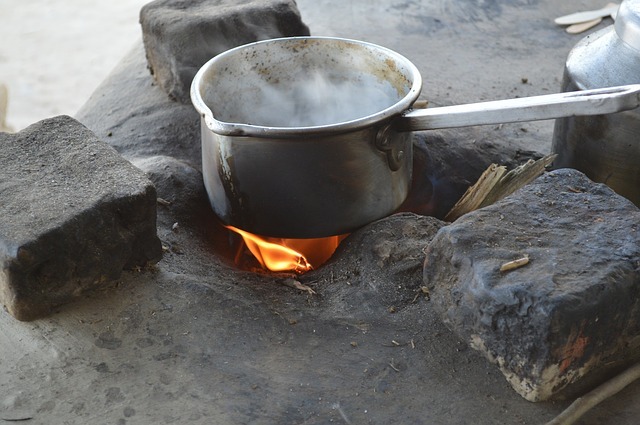 You could of course also use this as a wood stove by burning small twigs and branches, you would just need to remove the pot each time to add more fuel. This is a great little budget prep that can be done in less and ten minutes. But if you’ve got some cash to spare, check out the Steron Camp Stove at Amazon. If you’re keen on hardtrail biking you need a bike that can take the punch without breaking the bank. Check out my recommendation for the best hardtrail bike under 1000 bucks. Pumping bike tires is hard work with those old school pumps. But using a floor pump makes things a lot easier. Here’s my top pick for the best bike floor pump. Looking for a ghillie suit for your outdoor adventure or survival kit? Then check out my review of the best ghillie suit on the market.